Incorporated 1893. 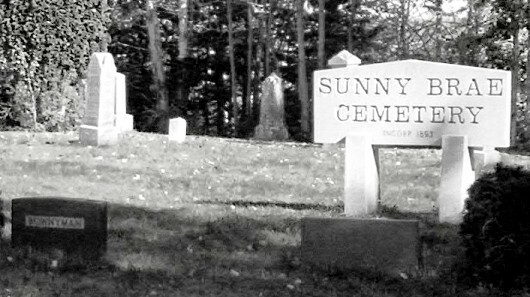 This is Cemetery #22 in the Colchester County Historical Society numbering system. Directions: From mid Tatamagouche take route 246, west, 3.5 kms (2.1 miles). At Oliver Road take a sharp right onto an unpaved road and go 0.8 kms (0.5 miles) to the cemetery on the right. Photos courtesy of Roberta Cameron. Transcribed and updated by Don Beeler in October 2007. BAILLIE, Annie Marguerite ? ? BONNYMAN, Jessie V. (Lynds) ? ? BONYMAN, Elsie J. (Reeves) 1894 ? LESLIE, Annie Marguerite (Baillie) ? ? LYNDS, Jessie V. ? ?